You’ve heard of day trading, but what exactly is it? Day trading is the act of purchasing and selling an asset within a single trading day. 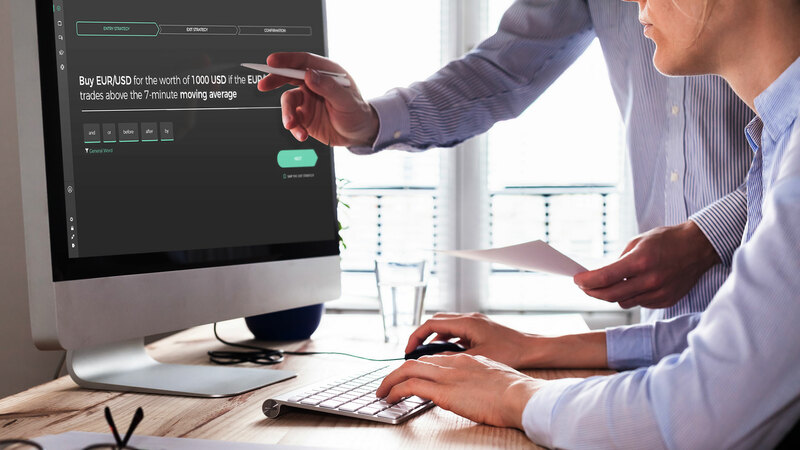 While it used to be reserved for people working for large financial institutions, brokerages, and trading houses, the internet and retail brokerage firms have made it easier for anyone to start trading. Day trading can refer to trading on any marketplace but typically refers to trading on forex and stock markets. Professional day traders use short-term trading strategies with leverage to profit on the small price movements of highly liquid assets. As with all types of trading, there are those who would warn against it due to the risk involved. But day trading with a good strategy that the trader sticks to has the potential to yield good profits. The key to successful trading is looking at analyses to help you make informed decisions. There are two main ways of evaluating the market that are worth investigating: technical analysis and fundamental analysis. Technical analysis looks at historical data to identify trends which traders use to determine the best course of action moving forward. Traders who use fundamental analysis look at microeconomic factors such as company performance and macroeconomic factors like industry performance to try and determine the true value of an asset. Professional traders have historically had a few advantages over retail traders - market knowledge and experience, a surplus of capital they can afford to lose, and one or more strategies. The advent of the internet has leveled the playing field for trading knowledge, giving everyone with access to it countless resources on everything from technical indicators and markets to trade on, to advice on how to formulate a strategy. The internet can help novice traders get experience, too, through practice accounts and simulators such as this one. The barriers of entry into trading have also been lowered by brokers and exchanges, which allow deposits as low as $250 to begin nowadays. But even with all of this knowledge, experience, and affordability, traders still make mistakes, allowing human emotion to thwart even the best strategies. That’s why top traders must have the discipline to come up with a strategy and stick to it. Either that, or they have some sort of automated trading system. As it turns out, though, automated trading doesn’t only have to be for professional traders that are part of large financial institutions. That’s where we come in. 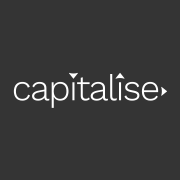 Introducing Capitalise, the world’s first trading platform empowering users to automate their trading strategies using plain English. Capitalise allows traders to set conditions based on technical indicators such as MACD and Bollinger Bands and fundamental indicators such as the scheduled release of economic data using cutting-edge technology and connects seamlessly with your brokerage account. And for a limited period of time, the Capitalise platform is free to use. From forex to stocks and Bitcoin to Ethereum, traders have many options of assets to trade using Capitalise, thanks to integration with lead brokers like Interactive Brokers and FXCM plus lead crypto exchanges such as Bittrex and BitMEX. And unlike many other automated trading platforms, Capitalise doesn’t require learning a complex system or any coding knowledge. Traders simply write out their strategies in the natural-language interface and Capitalise monitors the market and executes their trades from start to finish. Capitalise also integrates with TradingView, allowing traders to see technical analysis charts in real time while placing trade orders and coming up with strategies. Where 1000 refers to the number of bars (NumofBars) being taken into consideration for the moving average, Day refers to the bar period (BarPeriod), and close refers to the bar price (BarPrice) being used in the calculation of the moving average (as opposed to the open, high, or low of the bar period). If executed, this strategy will have the trader’s broker buy 1000 Euros worth of US dollars if the price of EUR/USD crosses above its moving average as dictated by the parameters set (100, Day, Close). Now that you know more about day trading and how to automate your trading strategies on Capitalise, you can try it out yourself. To get started day trading, you must open a brokerage account with a broker such as Interactive Brokers or FXCM. To open an account with Interactive Brokers, for example, go to their website and click the red “Open Account” button in the upper right hand corner. Click the entity you want to trade as (Individual Investor or Trader, Small Business, etc.) and then choose an application to fill out. Once you are approved, have an account, and make a deposit into the broker’s account (starting at $250), you can begin trading. To place an order with Interactive Brokers, choose the asset you want to trade and the action you want to take with it (buy or sell) as well as the number of shares you want to make the trade with. Now you can open an account on Capitalise and start automating, or open an account with Capitalise through Interactive Brokers in order to trade stocks. To open an account through the Capitalise app, go here and click the green “SIGN UP” button in the right hand corner. Once you’re signed in, click on the hamburger bar in the upper left hand corner and select “Trading Account API” on the bottom. From there you can connect your account on a trading exchange supported with your Capitalise account. The exchanges we support are Interactive Brokers, Binance, HitBTC, Bittrex, and BitMEX, and we are in the process of integrating with even more. Capitalise can help you take your trading to new heights, stick to your trading plan, and trade based on technical and fundamental indicators. All you have to be able to do is write your trading strategies in plain English. But all of this won’t help unless you sign up and start trading now. If you were looking for a sign to begin realising your dreams, this is it. Just go to the wizard and start typing.